The main reason the Nintendo Switch was able to outsell rival platforms within the US in December last year is linked to the release of Super Smash Bros. Ultimate, which placed in the top spot on the charts. According to The NPD Group, Nintendo had six other titles in the top twenty best-selling games list to help increase Switch sales. This included Mario Kart 8 Deluxe, Super Mario Party, Pokemon: Let's Go, Pikachu! and Let's Go, Eevee!, Super Mario Odyssey and The Legend of Zelda: Breath of the Wild. The company generated more revenue than any other publisher during this period for the first time since 2009 (excluding in-game transactions). According to NPD analyst Mat Piscatella, Mario Kart 8 Deluxe also finished 2018 as the second-best racing game of all-time, right behind Mario Kart Wii in terms of dollar sales. Note: These charts are sorted by dollar sales — not number of units sold. "Packaged software launch month dollar sales of Super Smash Bros. Ultimate exceeded those of the previous best in franchise history, Super Smash Bros. Brawl, by over 70 percent. "Super Smash Bros. Ultimate sets a new launch month dollar sales record for a platform exclusive in Video Game history, exceeding the launch month dollar sales of 2010's Halo: Reach." It's easy to see why the Switch has sold so well in the US after the successful launch of Super Smash Bros. Ultimate. Once again, are you at all surprised by this sales data? Tell us below. Man, look at all that first party present! Ports from PS4 / Xbox One or Exclusive Switch games from EA are very welcome, as long they don't milk us like a cow. 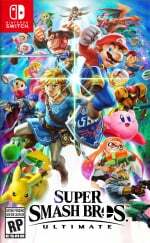 @leo13 I'm guessing games like RDR2 currently have sold more copies for the entirety of 2018, but Smash has sold the most relative to how long it has been out. @leo13 Top selling for December and 5th best for the year. This is simultaneously really impressive and not that surprising. It was easily the biggest game of December and the biggest Switch game all year so blockbuster sales were to be expected, but man it's great to see how it really went above and beyond in terms of sales. Well deserved too, it's a wonderful Smash game. NES Classic was the second best selling price of hardware this year just behind the Switch with red and blue joycons. My god, how wrong can you be. Smash is way bigger then any of us thought. Amazing sales! @kobashi100 The logic of Nintendo fans always perplexes me. One of Nintendo's biggest and consistently highest selling franchises won't sell consoles but Prime 4, the latest edition in a series that has never sold even 25% of Smash's sales, will? That was amazing. It’s a game that has always sold to a very high proportion of the host systems userbase. It’s a system seller. Yet there was some weird denial thing going on with some posters. 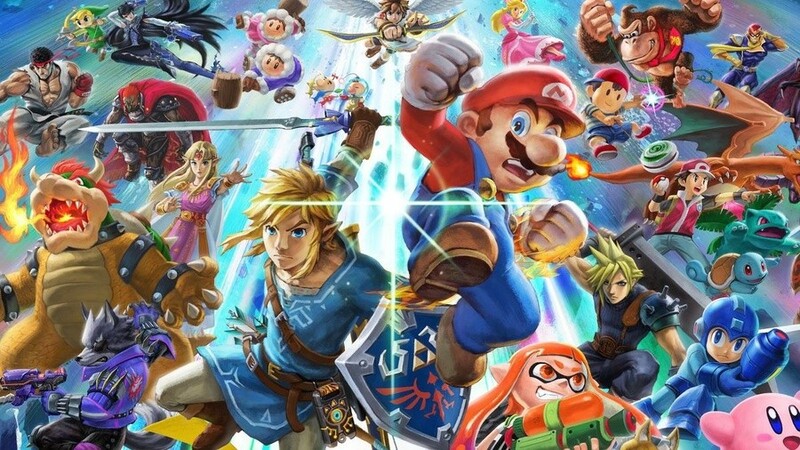 Smash Bros Ultimate sold 3.6 million retail copies in one month in the US alone. No digital sales included. It's the 3rd biggest launch of 2018 behind Red Dead Redemption 2 and COD BOIIII. In fact, Smash Bros Ultimate is probably the biggest US video game launch ever that isn't a Call of Duty or Rockstar game. @carlos82 I updated it. Sorry for any confusion @leo13. But i'm a huge fan of The Sims series & MySims series. I really need those EA games on Nintendo Switch. @Anti-Matter I'm with you on the EA part but at this point I don't think they even care. They're having a lot of problems it would seem and the least of their worries is bringing franchises to the Switch. Unsurprising but pleasing nonetheless. It was easily last year's biggest Switch game alone with the two Pokemon entries. I wonder how the results would have been if the Let's Go games had been combined? It is crazy to me just how good Zelda BTW and Mario Kart 8 Delux continue to sell going on two years after their launch and even more so for MK 8 as it was released on the previous Nintendo console . Smash is beyond a smash hit now. It's on another level.